Jane Birkin, Jane Seberg, Caroline de Maigret, Clemence Poesy… In my mind, when it comes to effortless style and seemingly natural beauty, French women will always come up le trumps. I say ‘seemingly,’ as that well documented, and much envied, ‘je ne sais quoi’ our trop belle neighbours possess, is as much the direct result of the ritualistic use of reliable, high quality products as it is the dose of good genes they frequently are blessed with. I think this is why us Brits have always incorporated a lengthy and joyous perusal in a French Pharmacy into any travel itinerary, and why we have suddenly seen so many more French products pop up on our shelves this side of the channel in recent years. Despite now being able to pop to Boots to stock up on all my French faves, there are still few places more exciting to visit than a French Pharmacy. Case in point; Last Easter, my girlfriends and I derailed our entire ski group in Courcheval, so we could visit a French Pharmacy… A little Après Skin before our Après Ski. One friend, Emma, was raving about Klorane, and specifically their cult product, the Oat Milk Dry Shampoo. Watching her purchase several cans, le FOMO kicked in and I also grabbed one myself. In all honesty, up until this point, I had always assumed dry shampoo was a quick fix for greasy hair, used if running late for work, or for a quick freshen up at a festival… Given I have major OCD and wash my hair most days, I just hadn’t ever imagined dry shampoo being a staple in anyone’s beauty regime, let alone my own. The reality is, French women don’t wash their hair every day, believing that frequent washing can strip the scalp of nourishing oils, so prefer to wash their hair only a couple of times a week. Launched in the ‘80’s and still considered the best in its field, Klorane’s Oat Milk Dry Shampoo decreases the need to wash your hair, and what I’ve found, is that it rather helpfully extends the life of my blow-dries. Rather than leaving your hair feeling stiff, the result of others I’ve tired, the oat milk in Klorane’s Oat Milk Dry Shampoo seems to soften and protect your hair, even giving your doo some volume within just a couple of minutes. It took a while for me to relax into not washing my hair every day, but knowing that I’m looking after my hair and scalp, whilst also rocking some serious French chic, bed head vibes, it’s been worth it. Just pass me some red lippy and a Breton, already! Above: Shake Klorane's Oat Milk Dry Shampoo well before use and spray evenly 30cm away from hair roots… Leave for 2 minutes and brush out thoroughly, et voila! Above: Klorane’s Oat Milk Dry Shampoo is also available in a mini size for touch ups and added texture throughout the day. 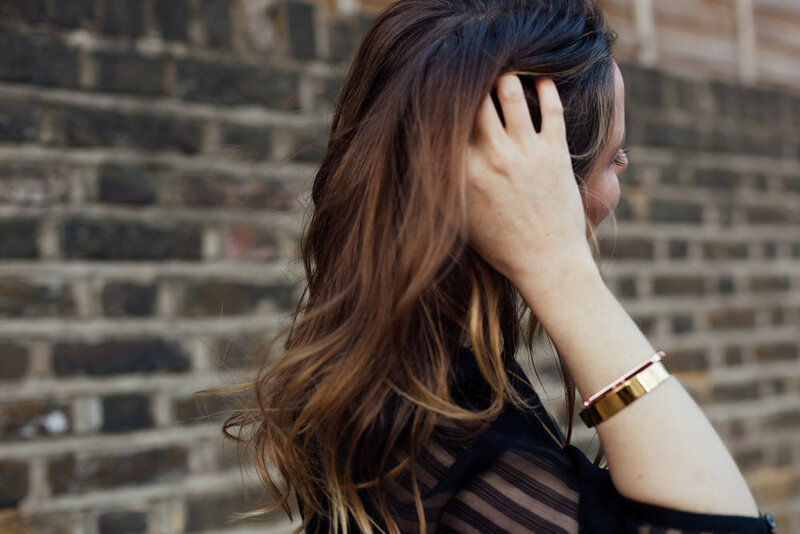 After discovering this total hair hero, I wanted to learn more about Klorane. In 1966, Klorane has a well-documented history in pharmaceutical ethics and is dedicated to protecting both plant heritage and the environment. We all know I love incorporating more ethical purchases into my life, and it seems Klorane is putting the care in to the hair care, by donating a portion of its sales to supporting the activities of the Klorane Botanical Foundation. Keen to try some more of Klorane’s products, I decided to give their Mango Butter Range a go. Having spent a chilly few months in London hiding under a beanie, and being about to head back to Africa for Christmas, I felt my hair could do with some serious nourishment. The Klorane Mango Butter Shampoo, and Conditioner, contain fatty acids that really act to repair your hair and bring back its suppleness and shine. 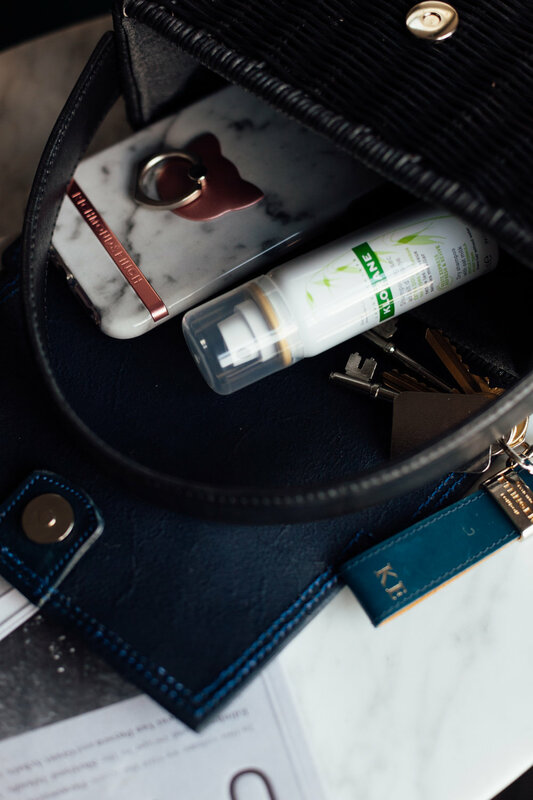 Klorane's Leave in Cream serves as a protective coat, making your hair easier to style. Oh, and I should mention, the smell… Ooh La La! Heavenly. I’ve really been enjoying using Klorane’s Mango Butter Range twice a week, with interim touch ups using the Klorane Oat Milk Dry Shampoo. My scalp is definitely appreciating being left alone a little more, and my hair is super shiny thanks to the oils I’m clearly allowing to hang out a little more. Klorane is available at Boots, Escentual, Birchbox, Look Fantastic and independent pharmacies.